Fraternity's 1859 Book of Life shows first members. Founded in 1859, St. Joseph is one of the oldest continuously operating fraternities in the country. The fraternity was founded after Franciscan Friars officially took over what today is St. Joseph-St. Patrick Church on March 13, 1859. The first person entered in the fraternity records was Barbara Bopp (religious name of St. Clare). She began her journey on April 1, 1859, and was professed a year and a day later on April 2, 1860. When it was first established, the fraternity focused on supporting the work of the Franciscan Friars – raising money for the missions and assisting in the parish. They also focused on personal sanctity and were known as the Penitent Brothers and Sisters. In 1978 a new rule changed the direction of the order – focusing more on apostolic works. The new rule was encouraged and approved by the Vatican. It became recognized as its own self-governing world-wide order. From then on, it became known as the Secular Franciscan Order (Ordo Franciscanus Saecularis). Through the direction of one of its members, Betty Frank, the order helped to establish in 1992 the only Perpetual Adoration Chapel run by lay people in the Mohawk Valley. The chapel has been totally supported by a lay volunteer force of 300+ adorers who take turns praying in the chapel 24 hours a day year-round. Through its member Betty Frank and support by the other members of the order, it helped spearhead the erection of the shrine to Blessed Marianne Cope at St. Joseph/St. Patrick Church, her home parish. In March 2008, five members of the Secular Franciscan Order helped St. Joseph-St. Patrick Parish establish Mother Marianne’s West Side Kitchen, which surpassed 50,000 meals in its first two years. The fraternity is an active supporter of the Secular Franciscan-run Amazon Relief ministry to the lepers and poor of Brazil. Through its members, the fraternity is also involved in the regional, national and international levels of the Order. Internationally, the Order has 400,000 members in about 70 countries with ministries to the poor and marginalized of society. Its members are involved in a variety of ministries including: religious education, Eucharistic ministers, soup kitchens, animal shelters, nursing homes, ringing the bells for The Salvation Army. Its members work in the areas of education, health care, agriculture, public information, law enforcement, homemaking, social services, mental health and more. In honor of its 150th anniversary celebration, the fraternity honored Mother Marianne’s West Side Kitchen and the Rescue Mission of Utica for their work with the poor and marginalized. In 2011, the International Order standardized the initials that professed members use after their names, based on the Order's Latin name, Ordo Franciscanus Saecularis (OFS). Up until then, National Fraternities used post-nominal initials based on their translation of the Latin. In the U.S., it used to be SFO based on Secular Franciscan Order. Now Secular Franciscans world-wide use OFS. 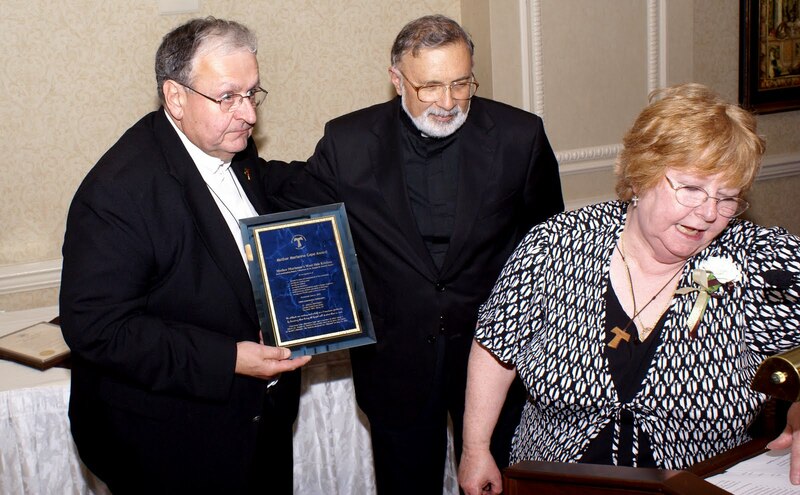 On June 6, 2010, after the close of the 150th year, Secular Franciscans celebrated the milestone anniversary by honoring two agencies that serve the poor and marginalized – Mother Marianne’s West Side Kitchen and the Rescue Mission of Utica. 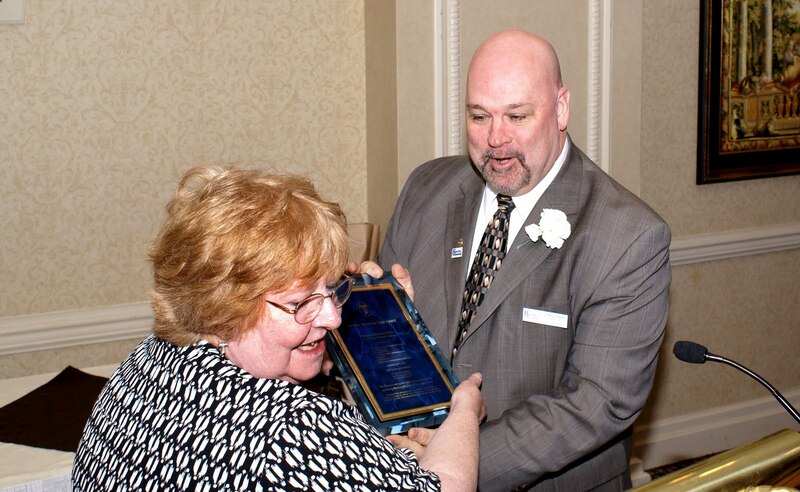 Fraternity Minister Katie Koscinski presented them with the fraternity’s inaugural Mother Marianne Cope Award. Katie Koscincki presents Mother Marianne Cope Award to Deacon Gil Nadeau & Fr. Richard Dellos. Katie Koscinski presents Mother Marianne Cope Award to Rev. Bill Dodge. Rev. Bill Dodge, executive director of the Rescue Mission (which serves the homeless, the poor, the mentally ill and those recovering from addictions), said he was “awed and humbled” to be accepting an award from Franciscans that is named after Blessed Mother Marianne. He mentioned how Mother Marianne went out of her way to provide amenities to her leprosy patients and treated them with dignity. The day began with special recognition for the 150th anniversary during Sunday mass at St. Joseph-St. Patrick’s Church. Fr. Adam Keltos, OFM Conv., the banquet speaker, concelebrated mass with Fr. Richard Dellos, pastor, who praised the Franciscan fraternity’s service and made note of special guests that included secular Franciscans from around the state. Fr. Adam Keltos, OFM Conv. 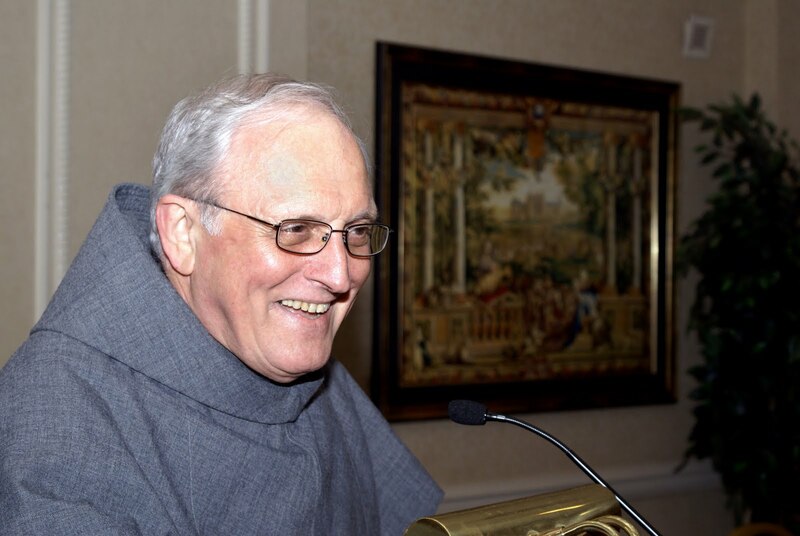 Father Keltos encouraged secular Franciscans to study and live their Franciscan Rule of Life. He urged them to wear the Tau cross all the time as a sign of their Franciscan vocation.